Lovely waitress.Great with allergy’s and a nice busy atmosphere. Good selection of vegetarian options, which is always very welcome. My husband and I visited 7/04/19. I had lamb hotpot my husband had lamb shank.he was very happy with his meal me not. There was hardly any lamb in the hotpot there were more dumplings if you can call them dumplings.they were more like potatoes covered in breadcrumbs and deep fried.i thought dumplings were supposed to be made of suet? I decided on a dessert.what a rip off! Jam roll poly.again i thought roly poly is supposed to be suet party.but no ! It was more like a pancake with a little jam on top.there wasn’t enough to have feed a 2 year old. The price of the dessert for what you got was extortionate.£6.50. The place looked like it needed a good clean.sofas and chairs had got stains on them. Sunday lunch was great. Fabulous jam roly poly. Good service. Definitely recommend. Been here a few times and never fails to deliver. Very tasty lunch with family. Lovely place to go for a meal. Food was very good. 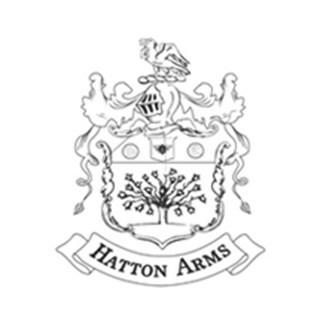 I should start by saying that I love Thr Hatton Arms and have been many times. this last visit for Sunday lunch was disappointing. It was so busy parking was difficult but the food was good asalways. This won’’’t put me off. 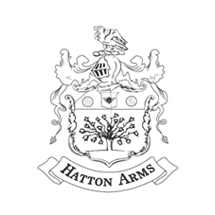 going back but wanted to make the point known to newbies to Hatton Arms. Staff for very attentive and friendly. Thank you for a wonderful meal on Friday 1st Feb. The food was delicious and the service great. We love this place and there almost weekly. They just have everything right! We have eaten 4/5 times on Christmas Day and other times during year. Felt this year in particular portions were very small. I scallop for starter ?? Whilst the steak was very tender again it was very small, I doubt it was more than 4 ounces. Is this value for money at nearly £80 per head , even excepting it's Christmas I think not. Really great service and fantastic food. We visited on Christmas eve and the restaurant was very busy but this didn't alter the service we received nor the standard of food. Would definatley visit again.